reception of global trading house. 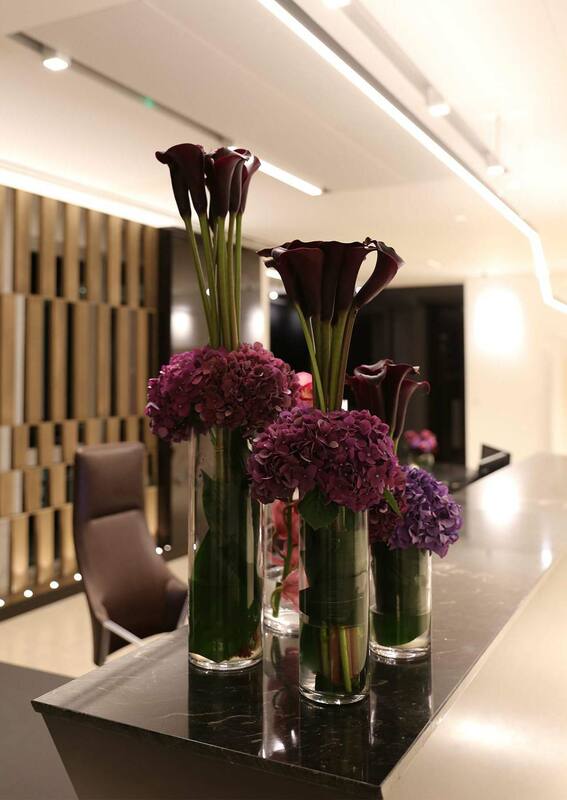 Elegance, fine finishes and comfort sum up the interior of this refurbished office space in Mayfair. 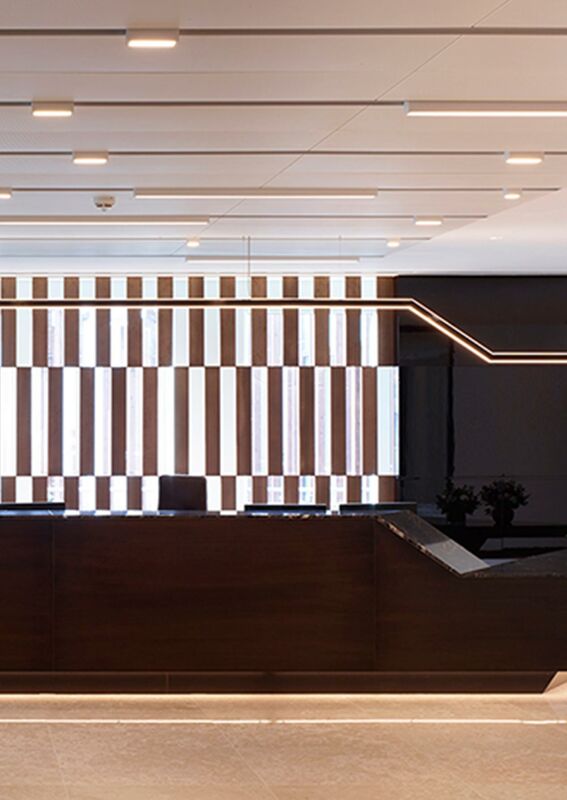 Taking pride of place in the entrance is a uniquely shaped, bespoke reception desk and we were asked to create a custom-made pendant to hang above it – all within a short timeframe. 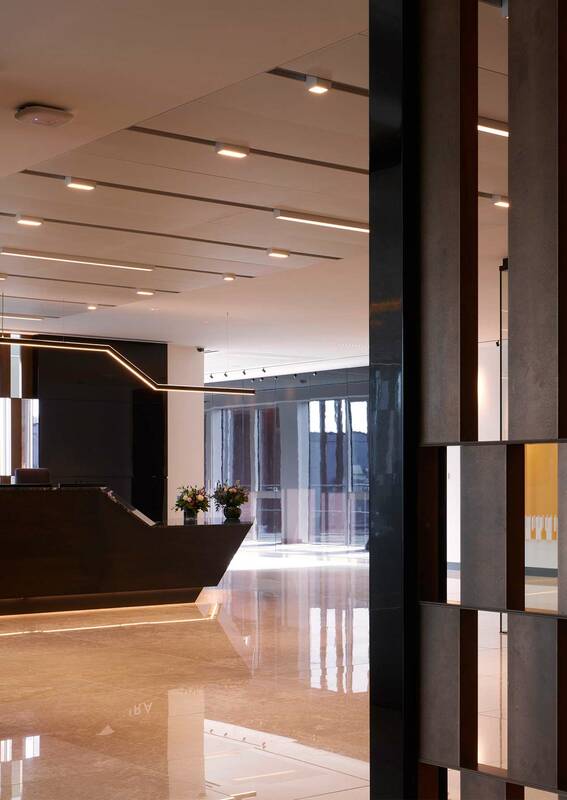 The understated, delicate luminaire – made of polished, folded steel and glass – works in harmony with the reception desk, mirroring its distinctive silhouette. Even though the fixture is simple in appearance, the detail side of things played a crucial part in the design process – the sleek and streamlined nature of the piece means every millimetre is on show. To get the flawless finish needed, extra special attention was given to creating seamless joints in the fabricated steel and glass at the angled junctions. Designed to provide direct and indirect light, the bespoke LED pendant gives a soft level of illumination to the ceiling, reflecting to provide ambient light. A good level of task lighting to the desk is created through direct downlight.